Mr. Elilan said that though it was the responsibility of the Elections Department to provide transportation and other arrangements for the voters, as a result of shortage of personnel, the LTTE is cooperating by assisting in providing transportation and temporary accommodation to the voters in LTTE-held areas. 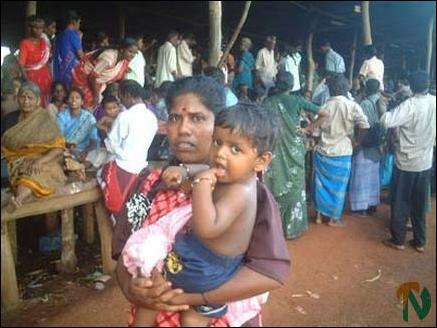 Although Sri Lankan Army, police and civil officials have given an assurance that all arrangements have been made for the voters in LTTE-held Vanni to vote without any hindrance, everything would depend on the actual implementation of the plans, said Mr. Elilan, adding that it was the wish of the LTTE that these voters, who have not been able to vote for 20 years, should get the chance to vote now. 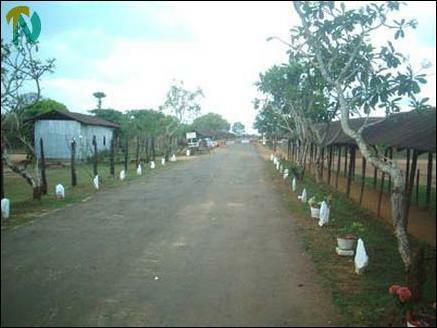 As the Omanthai check point was closed for election arrangements from 1 pm Thursday, the A9 highway is seen deserted at the army checkpost. Altogether there are nearly 80,000 voters in LTTE-held Vanni and Mr. Elian said that he expected nearly all of them to arrive at Puliyankualm and Omanthai during Thursday night and Friday. Some of the voters who have arrived in Puliyankulam told TamilNet that they are happy to vote after 20 years and that they want to express their Tamil national consciousness and unity through the election. “We hope that the election would result in extending the current ceasefire and the peaceful environment, and lead to a resumption of talks and a permanent solution to the Tamil people’s problems,” they said. Meanwhile, elections department officials in Vavuniya said Thursday evening that all arrangements have been completed for the elections, and that ballot boxes, papers, police personnel and officials have been dispatched to the 208 polling stations of the Vanni district for the elections on Friday. In addition, private and state buses have been sent to the LTTE-held Vanni region for transporting voters, the officials said. 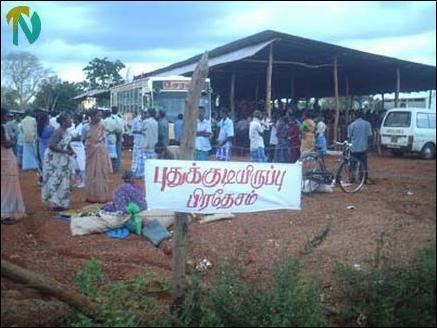 Area allotted to people who came from Puthukudiyiruppu in Mullaithivu district at Puliyankulam LTTE's lorry checkpoint. 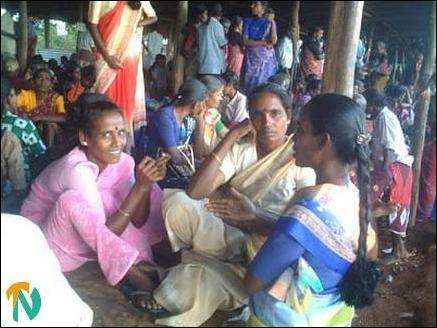 Women voters seen relaxing at Puliyankulam after a long journey to vote. 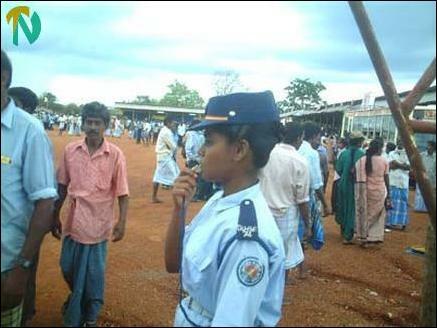 An LTTE Policewoman on traffic duty at Puliyankulam.